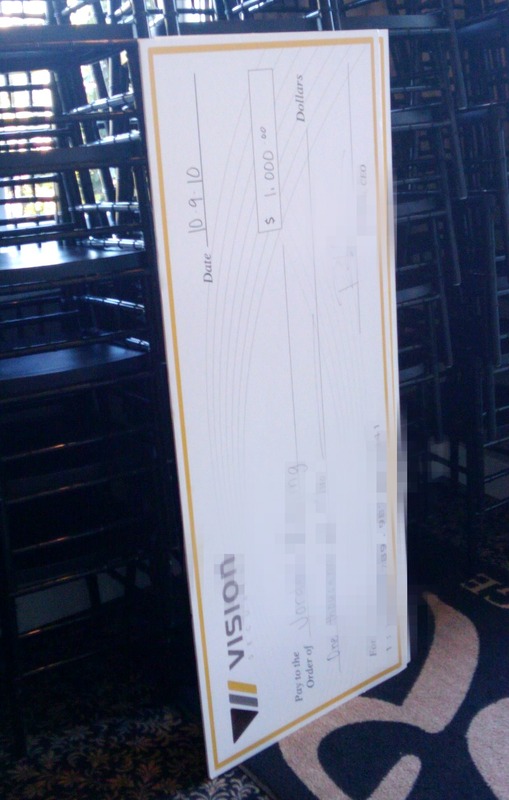 The other day I walked down the stairs at my office and there was a giant check. 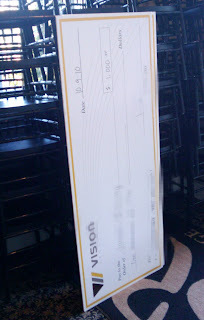 A GIANT CHECK. Just sitting there, minding its own business. I waited for balloons and cameras and people with microphones to jump out but no such luck. Plus it wasn't addressed to me. But if it had, I would never have cashed that sucker. A giant check is a bargain at any price.